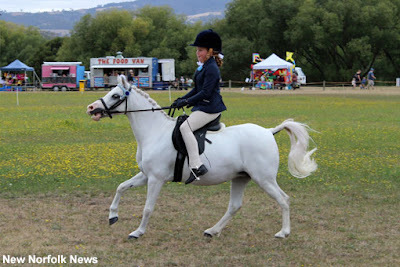 comfortable conditions at the show, which traces its history back to the 1860s. 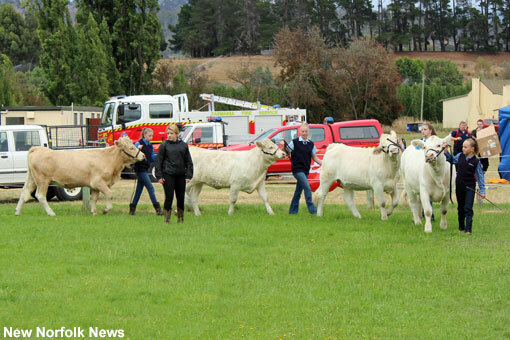 Events and attractions included the junior cattle handling, above. 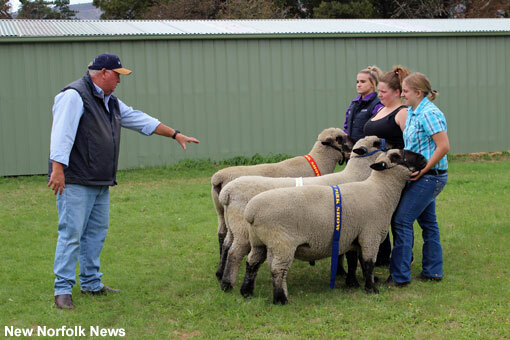 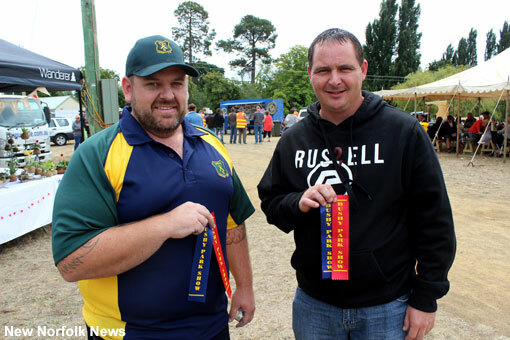 An adjudicator explains his decision in one of the sheep competition events. 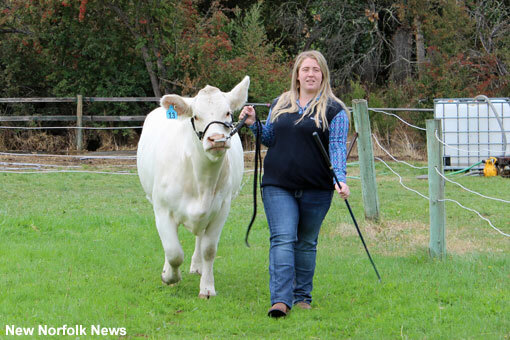 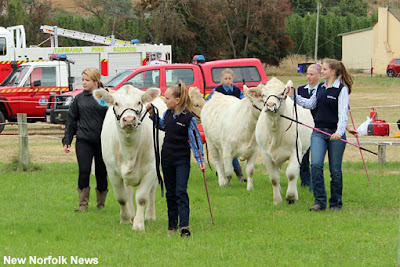 Junior cattle handlers walking their heifers to the judging area. 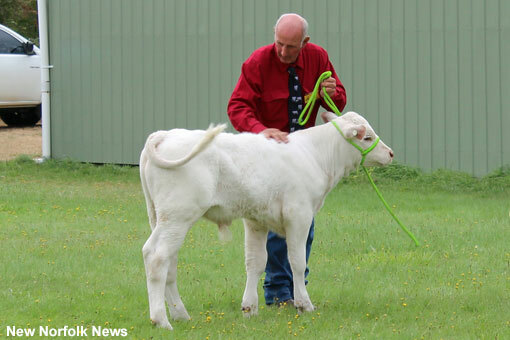 Neville Fenton calming an energetic bull calf. 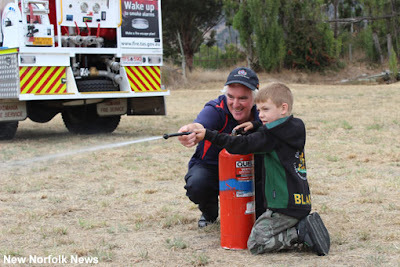 Target practice with the Gretna Fire Brigade. Ponies and miniature horses were a popular division in the equestrian events. 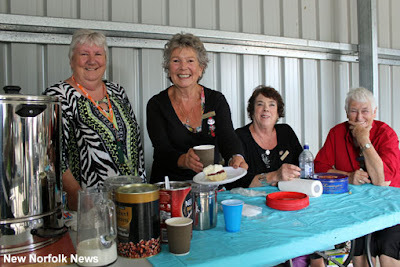 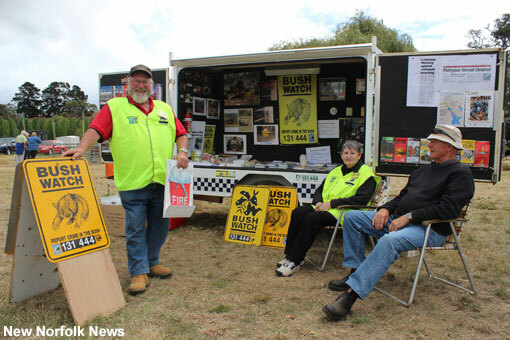 Magra CWA Devonshire tea stand. 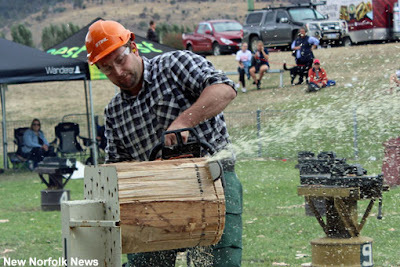 Chainsaw races were the final events of the day in the woodchopping arena.